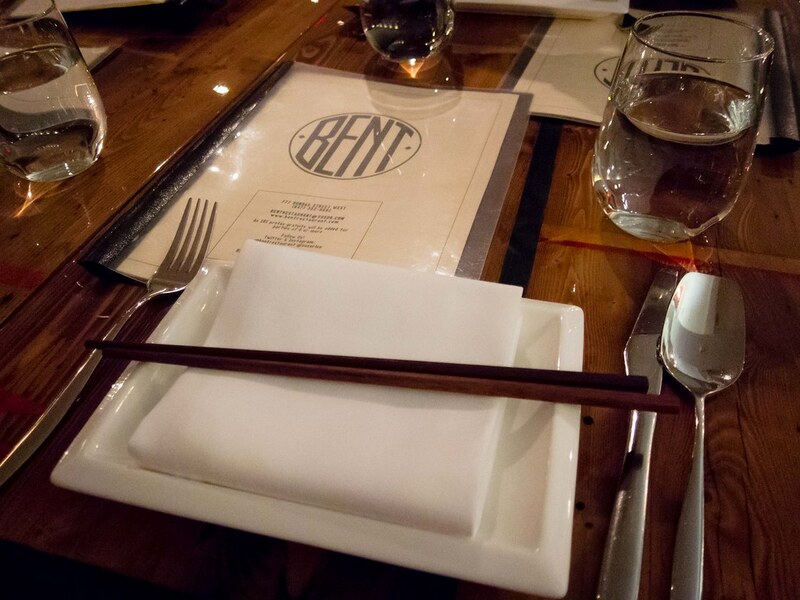 My second Winterlicious stop this year was Bent, a new restaurant from Susur Lee in partnership with his sons. 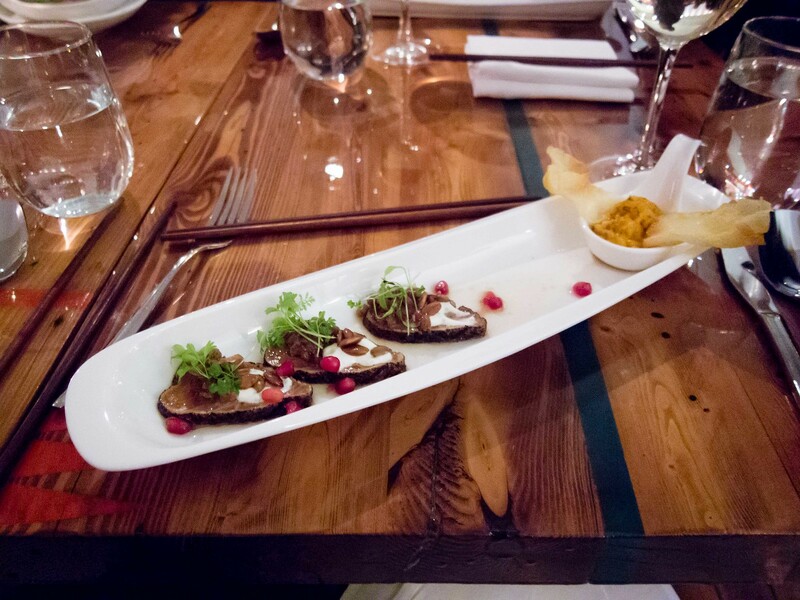 Located at Dundas and Bathurst, Bent is trendy attracting a younger crowd with a menu of Asian fusion dishes. 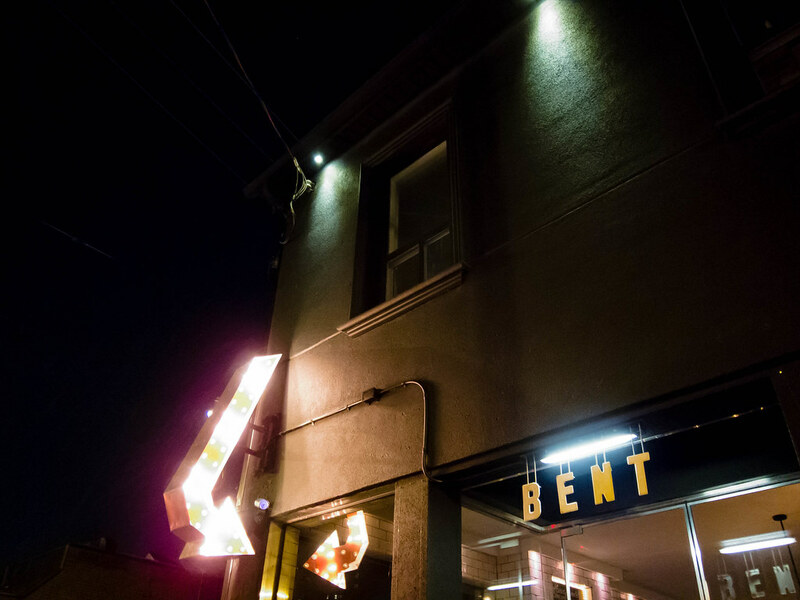 During the past year, Bent offered a special “Bent-O” set menu twice, both of which I missed. Needless to say, this made them my top priority for booking Winterlicious. Atmosphere: A light bulb sign, in the shape of an arrow, points out Bent making the entrance easy to spot from down the street. 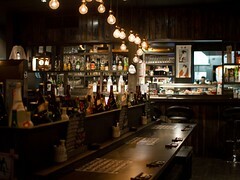 The entranceway of the restaurant leads into the dining space as well as downstairs to the washrooms. A thick red curtain is in place to keep the chill out of the main room, but it also bellows in each time the front doors open. It also means that the stairs to the washroom is chilly. Past the entryway curtain, the space is richly decorated with glossy woods, metal pendant lights and a treasure trove of trinkets. Tables were packed close to each other and the noise level was on the loud side but not overwhelming. I loved the music that night, mostly R&B and pop hits from the 2000’s, great playlist and another nod to the crowd dining at Bent. 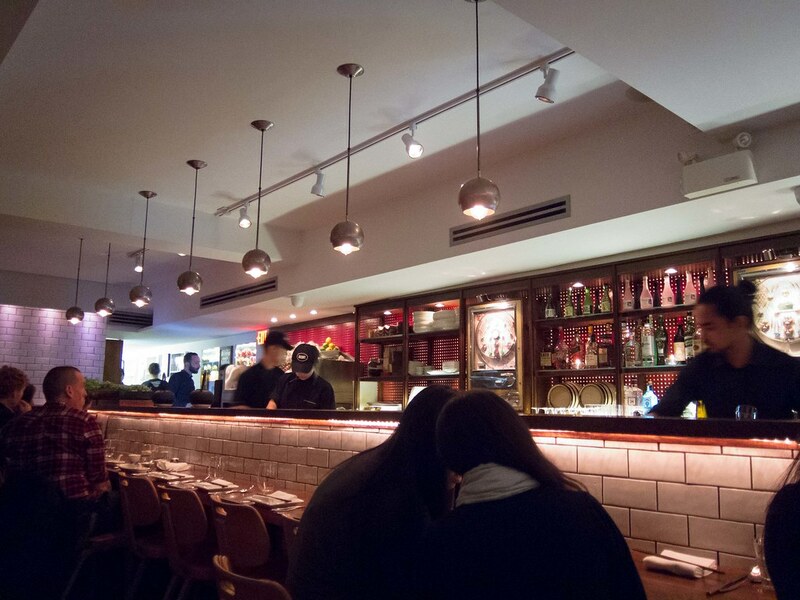 Service: The BF and I were 5 minutes late for our 6:15pm reservation but one of our friends was on time and they were happy to seat her to wait. As we arrived, our server brought water for everyone with each new arrival. 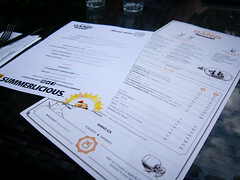 After we had a few minutes with the menu, he came by and explained each item in detail. He presented the bottle of wine we ordered and gave us a sample before serving the table. 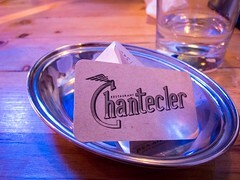 There was a lull between the appetizer and entree courses, during which our server came by to check up on us. He was professional and added to our dinner experience. 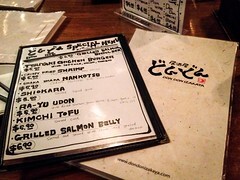 After the bill was settled, we were lingering a bit and was politely advised that the table was needed. After the great meal, I didn’t mind at all and was happy to allow others to enjoy the same. Food: For appetizers, the BF and I split the black pepper salmon and artichoke soup. Both dishes was phenomenal. The pepper coating gave a nice heat to each bite, there was sweetness from the pomegranate seed and crunch from the toasted pumpkin seed. The spoonful of fennel-chili relish was served with two crispy wafers and had a great texture that was similar to tuna tartar. I was greedy and did not share the wafers. 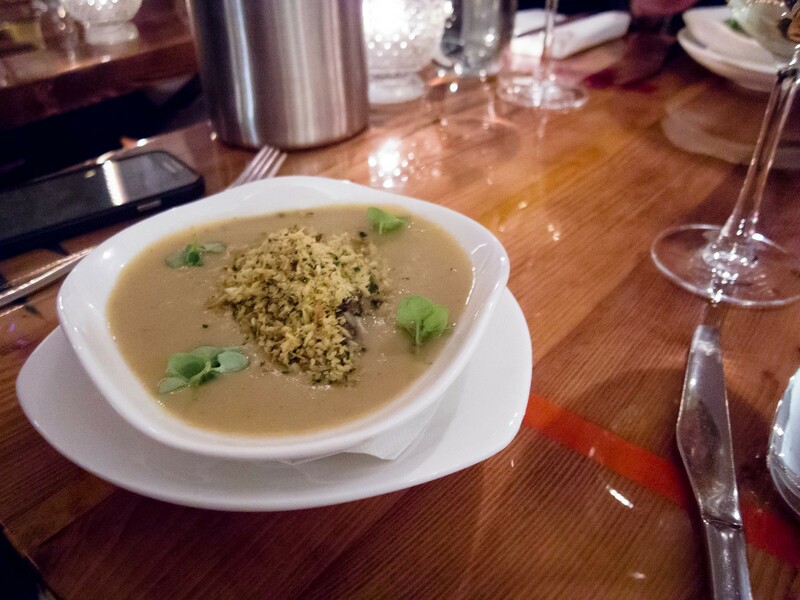 The artichoke soup was rich, savoury and was served with a spoonful of a nutty, crunchy mixture. I’m glad the BF was more generous with sharing his bowl because between the two appetizers I would’ve had a hard time choosing. I chose the shrimp ravioli with scallops for my entree and the BF had the short rib cannelloni gratin. 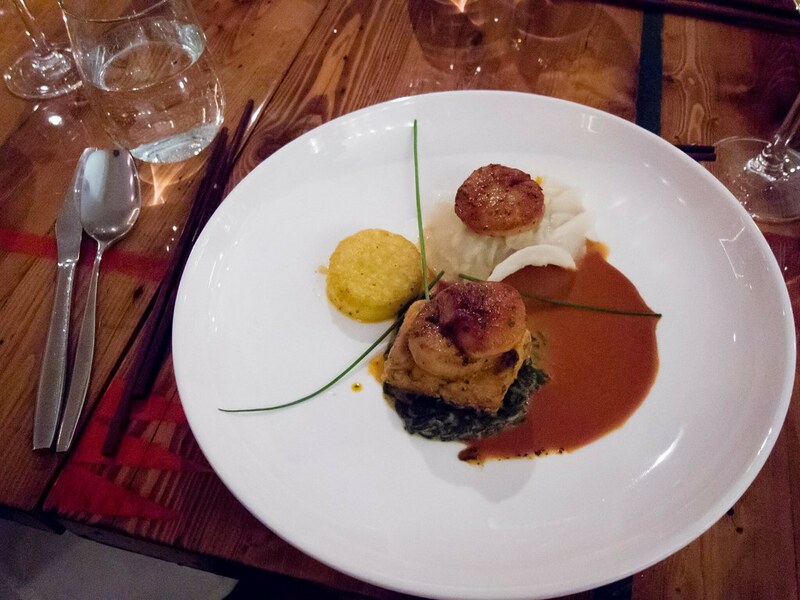 My favourite part of my dish was the generous portion of scallops. The three pieces were seared, had texture like butter and seasoned well. I also had a great time with the garlic chip and creamed swiss chard. The shrimp ravioli was made with wonton skins and was underwhelming. I liked the filling, but I make wontons at home very often so it didn’t blow me away like the rest of the dish. 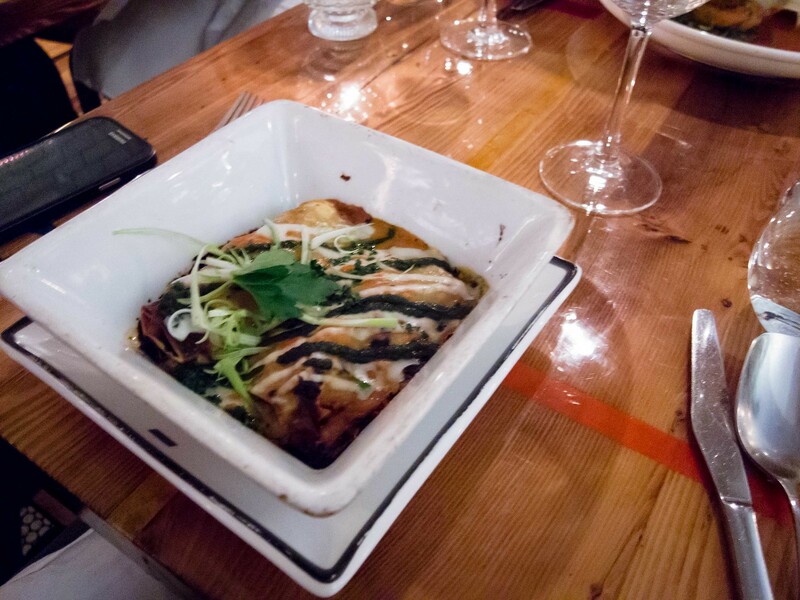 As for the cannelloni, the short rib was tender, the shreds of meat pulled apart easily and the pasta was thin and bathed in sauce. It was a heavier dish and quite filling. The portion size for both entrees were on the smaller side. My girlfriends and I were well satiated after the meal. I could’ve eaten more but I wasn’t hungry. The BF however would’ve loved larger portions and needed a bit more sustenance. The best part of the meal was not having to choose between dessert options. Bent served up a portion of both items to each diner, amazing! This was also greatly appreciated because, again, I would’ve had a hard time choosing between the crispy apple purse and the vanilla panna cotta. 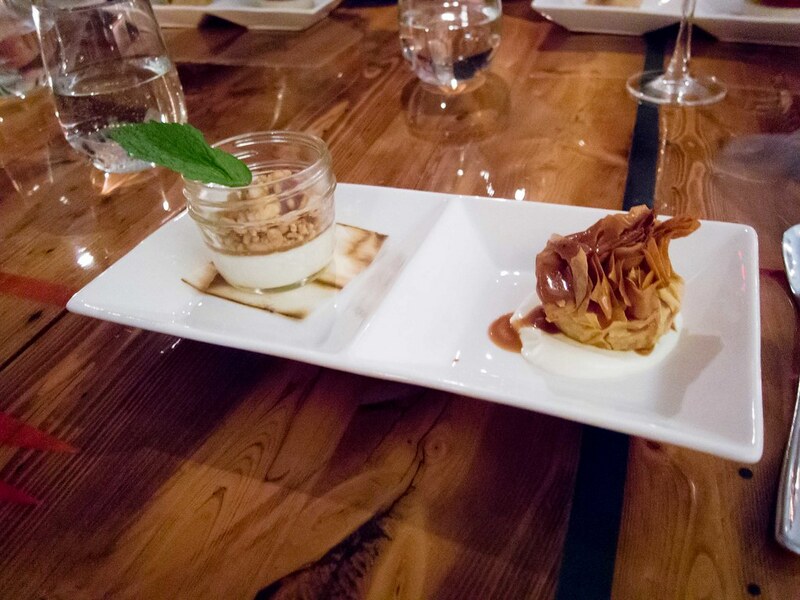 The phyllo of the apple purse was golden and flakey with a hot apple filling, served on the heavy double cream and drizzled with a caramel sauce. It was good. Not to be beat, the vanilla panna cotta was also creamy, not overly sweet, had a nice sour note from the apricot jam and garnished with a fresh mint leaf. My meal at Bent easily lands in my top five licious meals ever.